Herbal harvesting time on the homestead! Now, what to do with all those goodies? Well, for sage, there are multiple uses as tea since it is such a benefitial herb. And of course we love fried sage leaves. If you have never tried it, well, you must! SAGE IS GOOD FOR YOU! And did I mention it yet: it's yummy! Wash the sage, shake dry, set aside. Crack egg, whisk it, pull each sage leaf through it. Now, the optional part: dust with flour. BTW: I didn't do this. 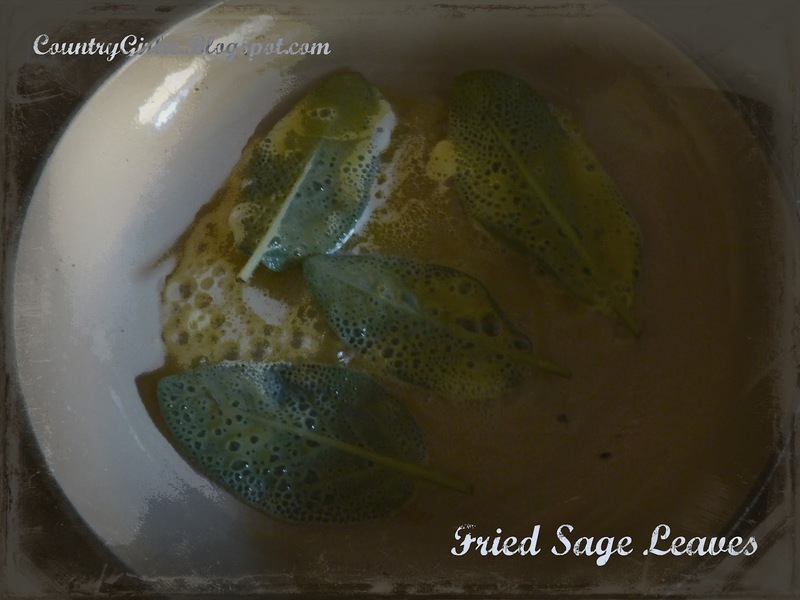 Melt butter in pan, fry leaves until crispy brown. Takes them out, sprinkle with salt. I like them with a rose champagne as appetizer! If you want to read up on the health benefits of sage, click HERE.